Always tired? Experience energy and mood swings? Have trouble sleeping? Want to be balanced and energized? Learn how food and other lifestyle choices can affect your energy level. 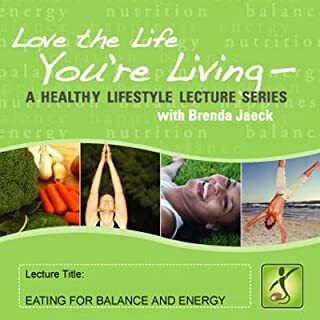 In this lecture by Brenda Jaeck, slight changes to your diet or lifestyle will be discussed along with foods to add or avoid. I got really connected to this audio. Deep inside I felt for a long time that most of my eatting during the day was due to lack of energy, and not because I was really hungry. This audio changed my eating habits and the way I feel. If you are like me I recommend you buy this audio. Do you find yourself always PUTTING OTHER PEOPLE’S NEEDS IN FRONT OF YOUR OWN OR HANG BACK FROM STATING YOUR OPINION? Then this self-help hypnotherapy Download for adults is for you! It helps you DISCOVER OR CREATE YOUR ASSERTIVE SELF. 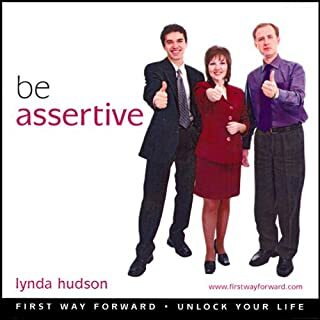 Lynda combines her HYPNOTIC EXPERTISE AND HER EXPERIENCE IN ASSERTIVENESS TRAINING on this recording. I am new to self development audios. As a manager working with my own workers and working with higher level of management, my voice is much more calm, precise and effective.